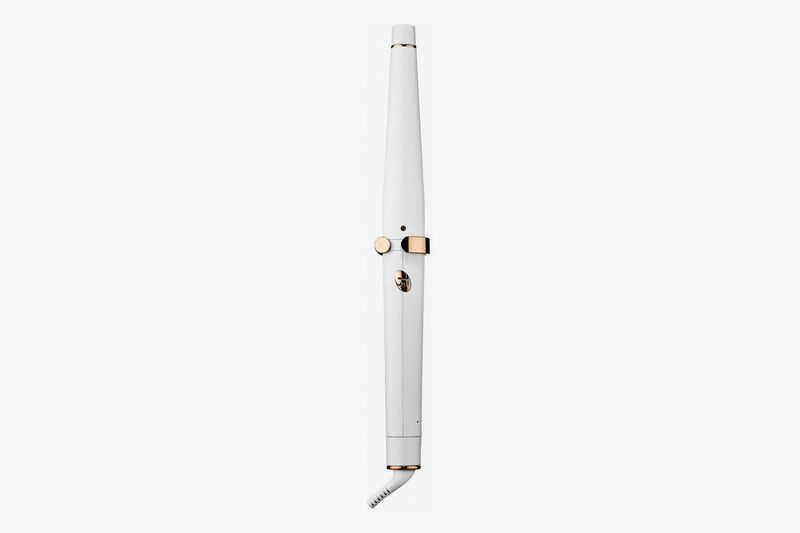 A great curling iron takes the pressure off of a rushed early morning routine: It’s light in the hand, easy to maneuver (even for true curling dummies), creates a curl that won’t drop by lunchtime, and doesn’t fry your hair. We know there are a lot of them to wade through, though, which is why we turned to seven hairstyling professionals to get their opinion on which curling wands are really worth investing in. 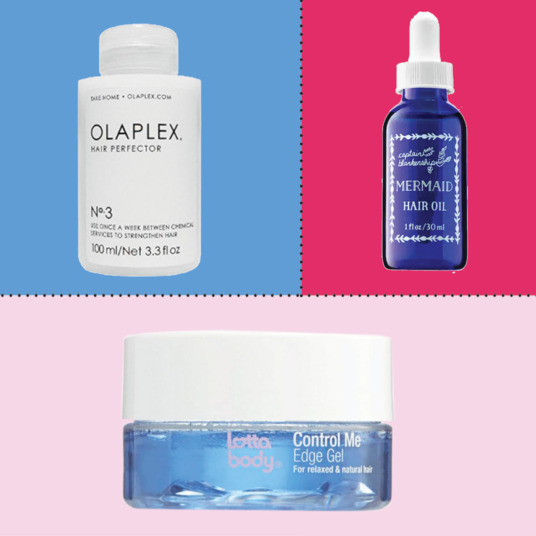 Here, we’ve assembled a range of options — from the drugstore-budget range to some heavy hitters that professionals use to make waves on famous clients. 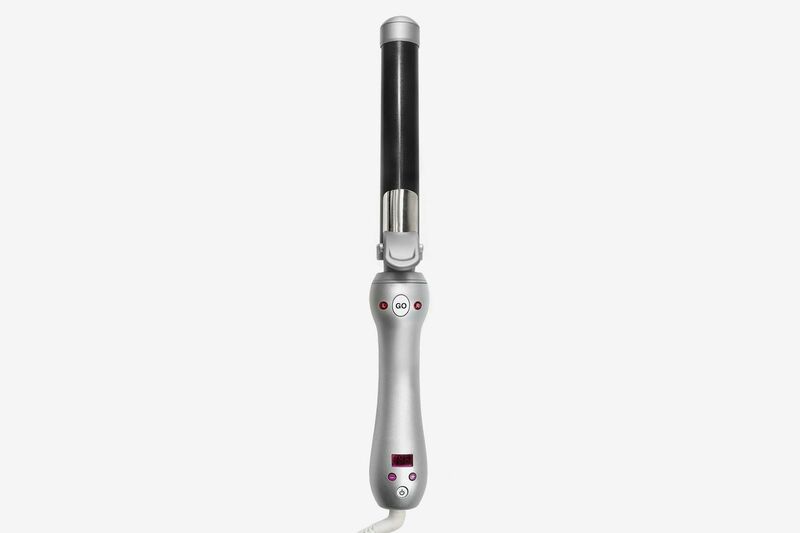 The clear favorite among the hairstylists we polled for this story was a one-inch curler from GHD, with everyone mentioning how intuitive this iron is at minimizing hair damage — it maxes out at 365 degrees. 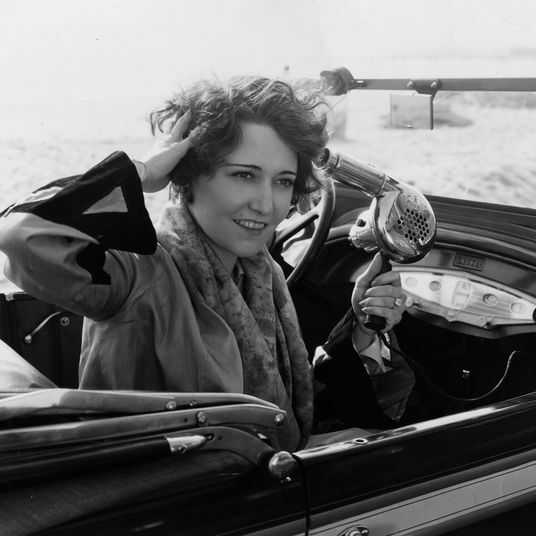 “They have done extensive studies into the correlation of heat against elasticity of hair, which concluded in the GHD Irons not going above 365 degrees,” says New York–based hairstylist Helen Reavey. 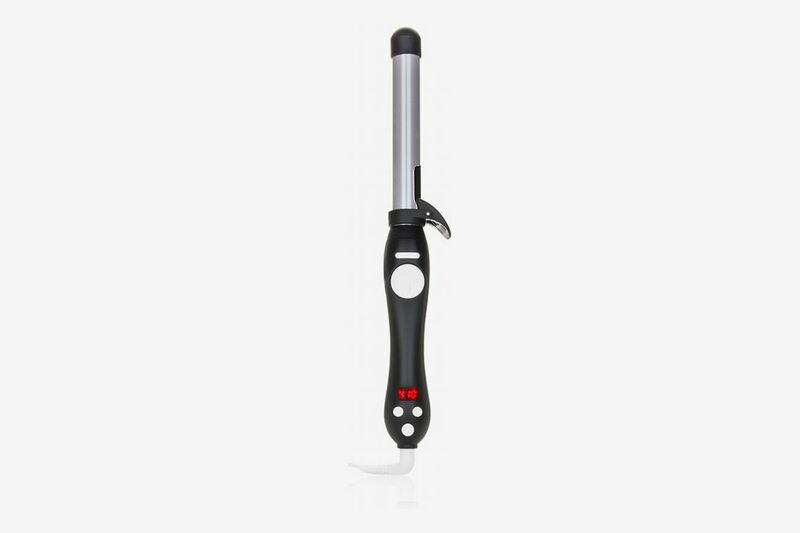 “The material allows heat to distribute evenly, creating the perfect wave without damaging your hair.” It’s her top recommendation for serial curlers, and others — like stylists Benjamin Muller and Nunzio Saviano — tend to agree. “The temperature is perfect, the hair never smokes or smells like burn, and the curl is perfect after four to five seconds from root to end — shiny and elastic,” says Saviano. 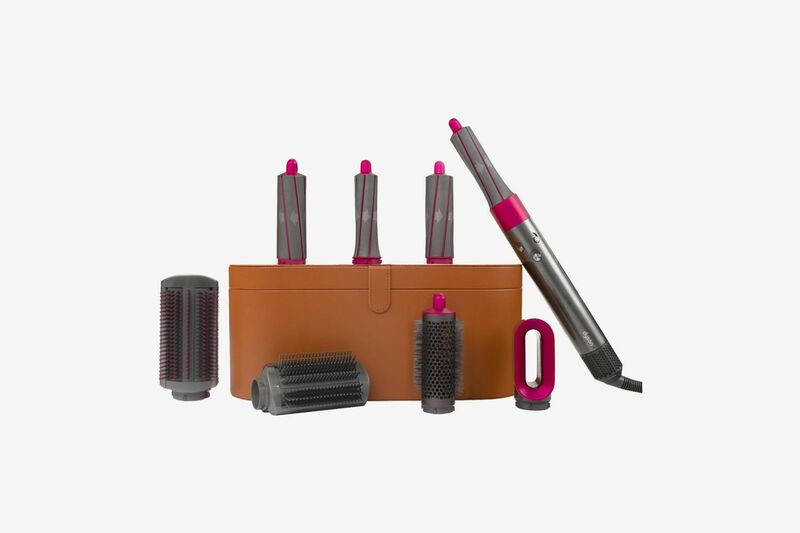 We suspect that this one wasn’t mentioned more than once because it’s so new (and also sold out for now), but as with all things Dyson, the Airwrap styler, which curls wet hair using high-speed airflow, has generated a lot of buzz. 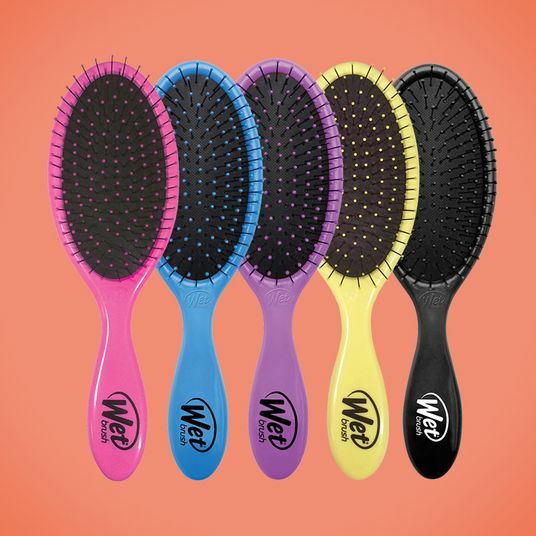 It comes in three packages — right now there’s a complete set with all the attachments, plus two others catered to frizzy and fine hair — that includes a pre-styling dryer for wet hair, brushes for straightening and volumizing, and 1.2- to 1.6-inch Airwrap barrels for styling. 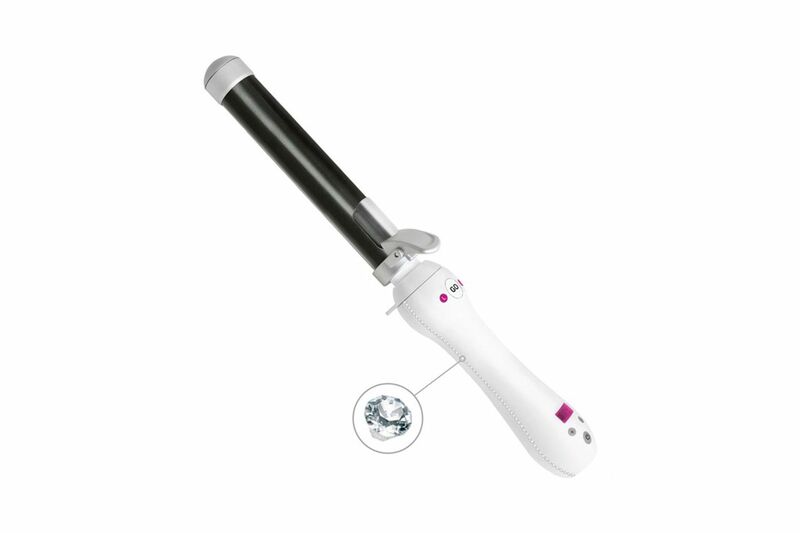 The Airwrap styler is clampless, rotating to wrap the hair around the barrel and using jets of air to create curls. 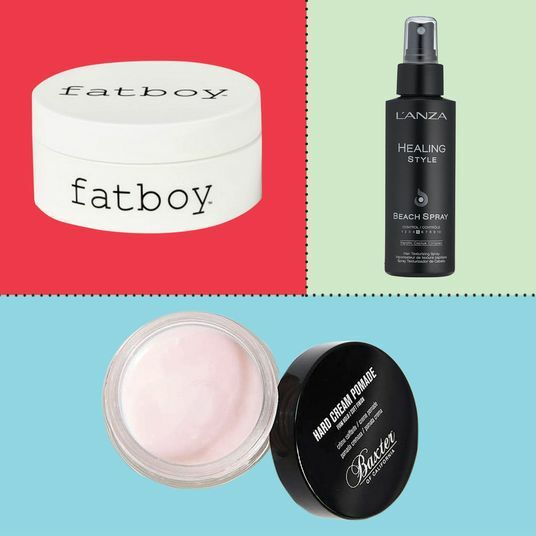 According to editorial hairstylist Joey George, it lives up to the hype. 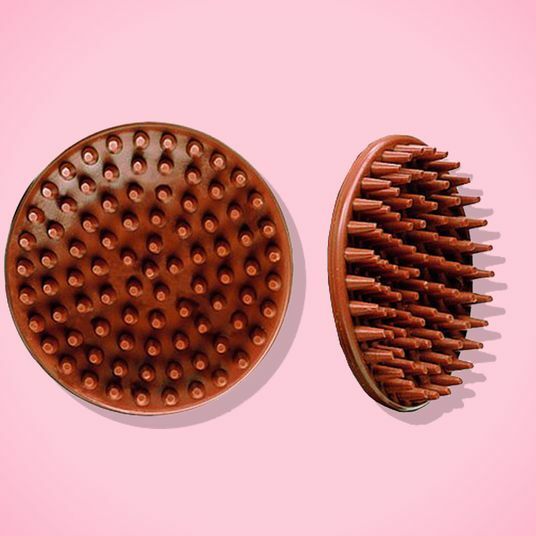 He’s been experimenting with it recently and says the best thing about it is that you’re creating a full head of curls without the risk of heat damage. 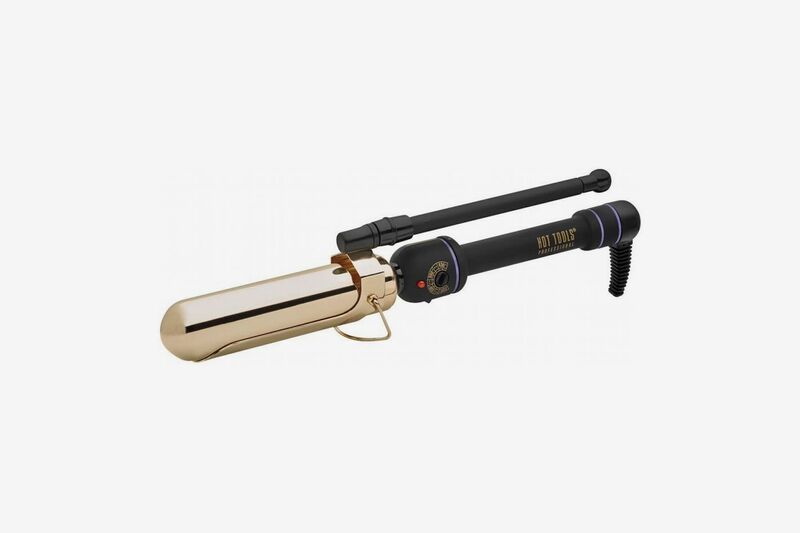 Editor’s note: While the Airwrap styler is sold out at the moment, you could try your luck on eBay. 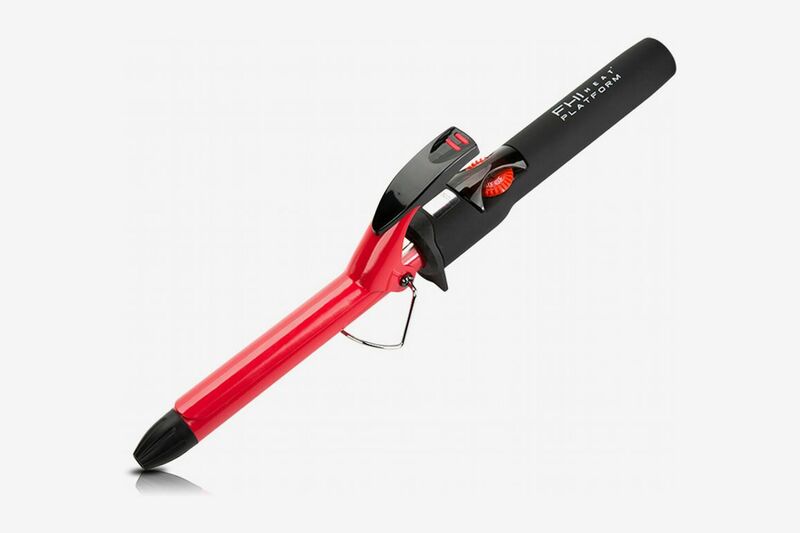 If you’re an occasional curler who’s not planning to splurge on a curling wand, Reavey suggests this Marcel iron from Hot Tools — at $40 — because it’s so easy to use. 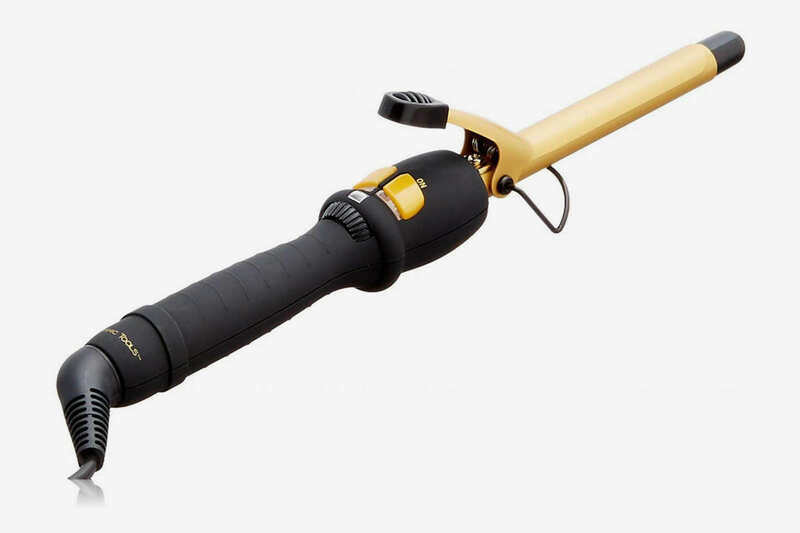 “The handle allows you to wrap hair around the iron with ease, and I appreciate the rotation option, which can be used interchangeably, whether you are left- or right-handed, to get an even curl every time.” Its 24-karat-gold-plated barrel also means that it heats up super fast, and with ten heat settings (up to 430 degrees) you have options. 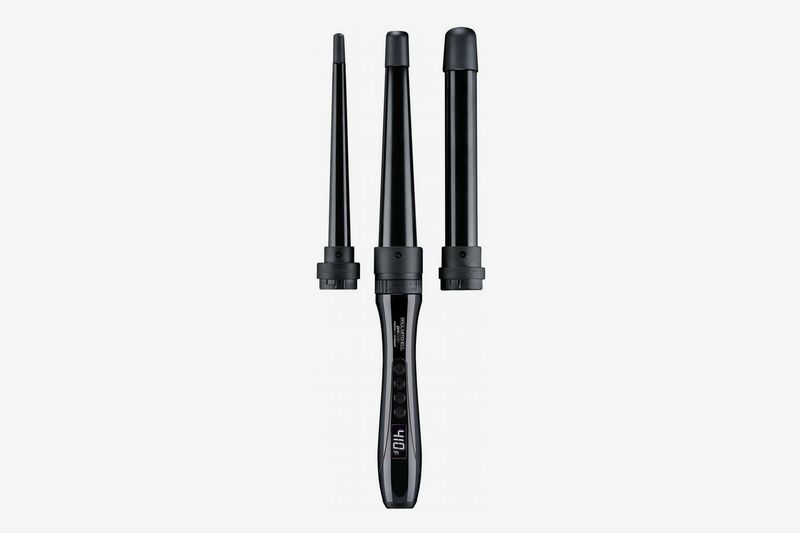 If you struggle with clamps on curling irons, celebrity hairstylist Andrew Fitzsimons — who frequently works with the Kardashians — tells us that he’s been using this clipless Paul Mitchell three-in-one Curling Iron lately and loving it. 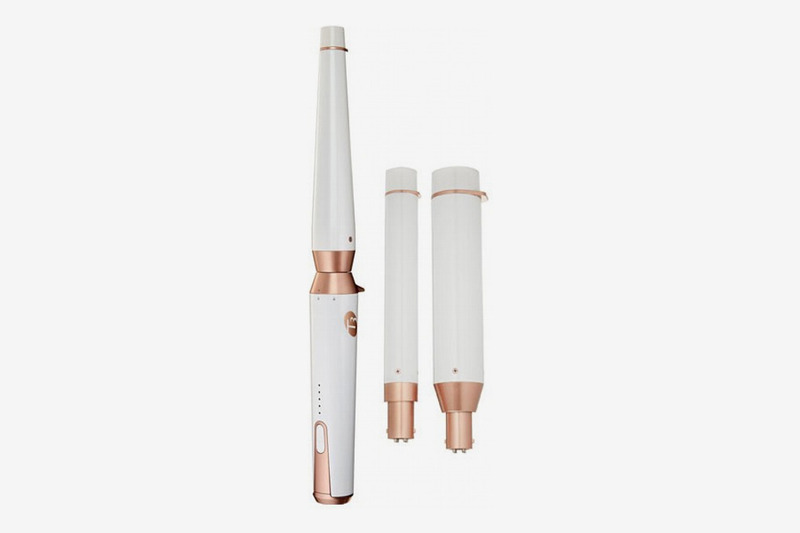 “It has three interchangeable barrels (a rod, a cone, and a small cone), so you can create loose waves, natural-looking curls, and ringlets with just one tool,” he explains. As someone who frequently hops around for work, he likes that it allows him to travel light. 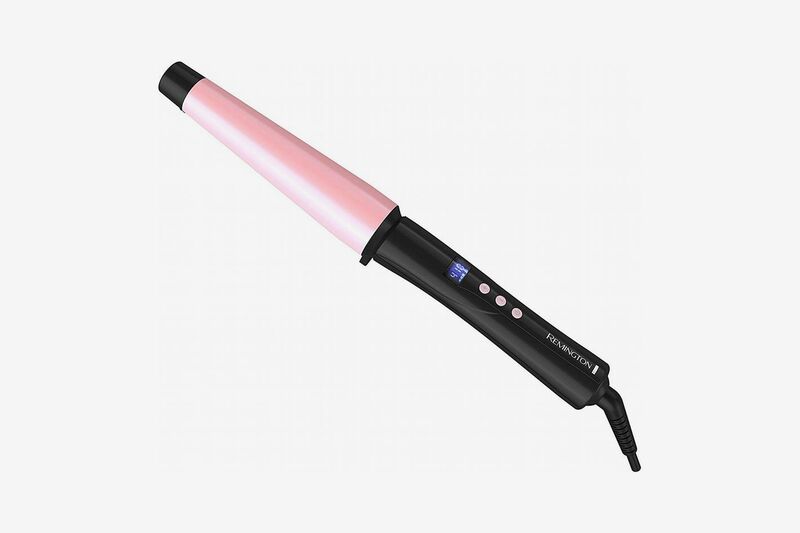 And if you’re serious about beach waves, T3 is another name to know. It’s the same brand Blake Lively’s hairstylist Rod Ortega uses to create her signature wavy hair (more on that below) and came recommended by Samantha Shepard, the lead stylist at blowout salon Glam + Go. Considering that the salon’s most popular styles require a tousled, natural-looking wave — and that the premise of a blowout bar is speed — she finds this tapered T3 Singlepass wand ideal for its light weight (“as stylists, our job is basically one long arm workout”) and speedy heat-up time. 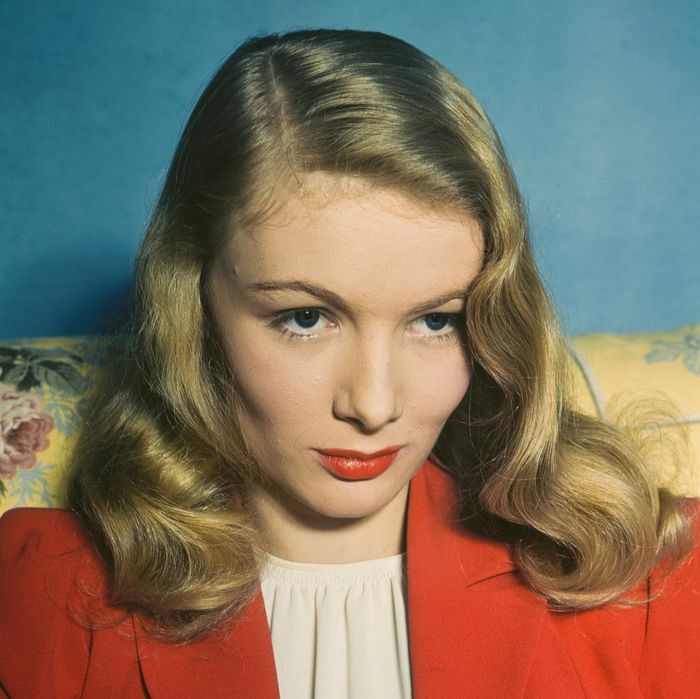 Or, if you want the exact style of wand that Ortega uses, here’s the T3 whirl trio, an interchangeable medley — similar to the Paul Mitchell one — that helps tackle everything from tighter spirals to flowing Veronica Lake waves. 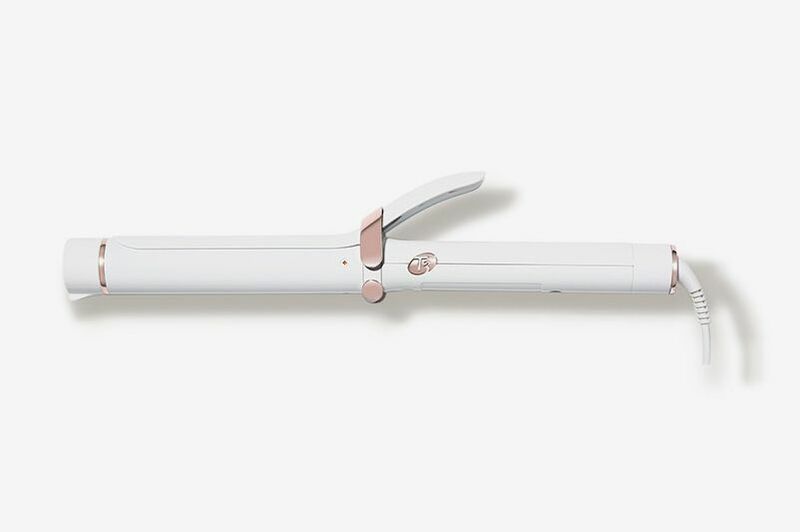 A few Strategist staffers are also partial to this pink curling iron, which writer Lauren Ro says is the closest she’s come to mimicking the natural waves of a digital perm. 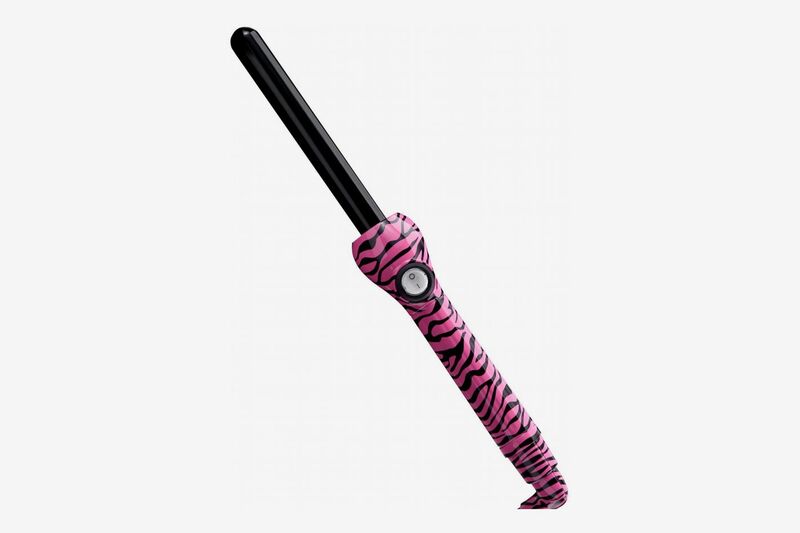 It has a tapered tip that creates a range of curls, depending how you wrap it. 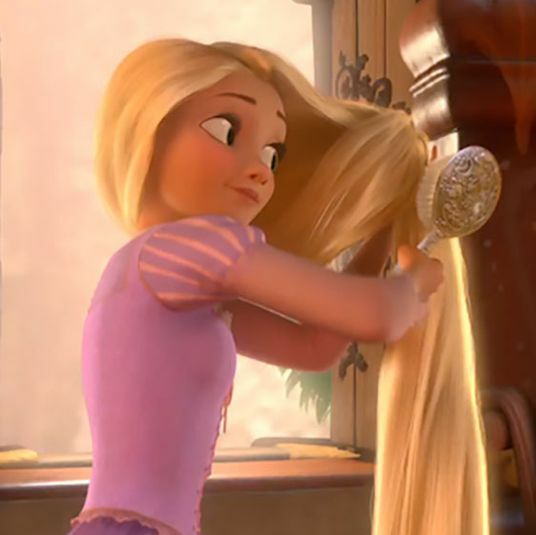 “Instead of fussing with getting your strands into the clip, as with a traditional curling iron, all you [have to do is] wrap your hair around the barrel of the wand, hold for a few seconds, then release it,” explains Ro. 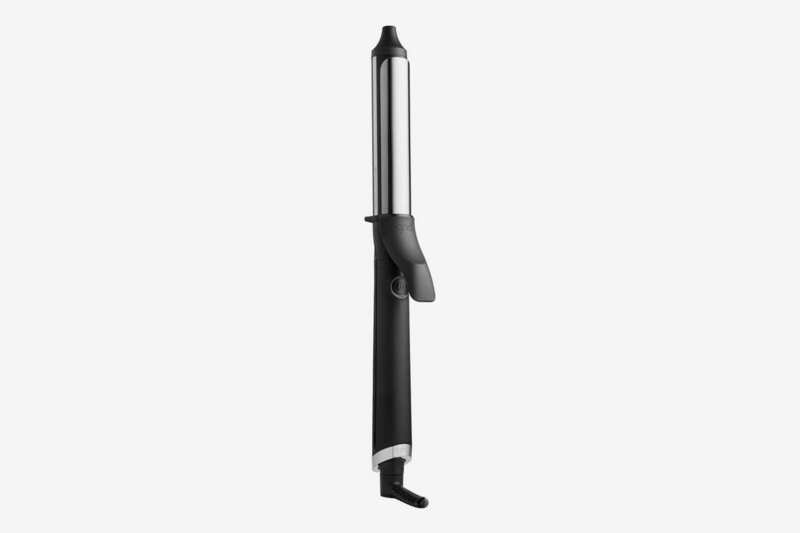 For tighter curls, Muller uses a small five-eighth-inch barrel from BaByliss Pro. “To create a tight curl, you always want a curling iron with high heat but a small size,” he says. 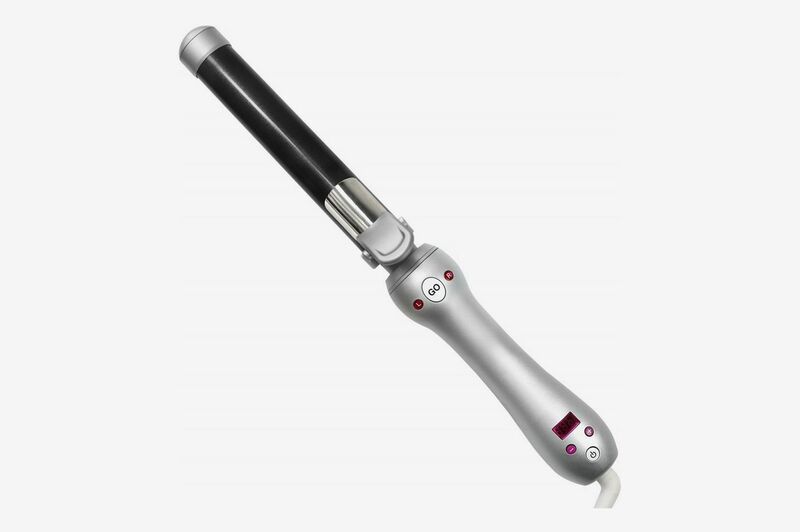 “For this, the spring system makes it easy to manipulate the hair, and with the heat from the BaByliss, I can also lock in the curls and bring definition to hair.” If you travel often, a big perk is that this one is dual voltage and won’t burn your hair if you’re flying across the pond.